The robot is approx. 45 cm high, is equipped with sophisticated sensors and is able to perform dynamic movements. For example, it can walk very fast (24 cm/s and more), it can speak and listen, run processes, can balance itself and works fully autonomously. One of its biggest hobbies is playing soccer. 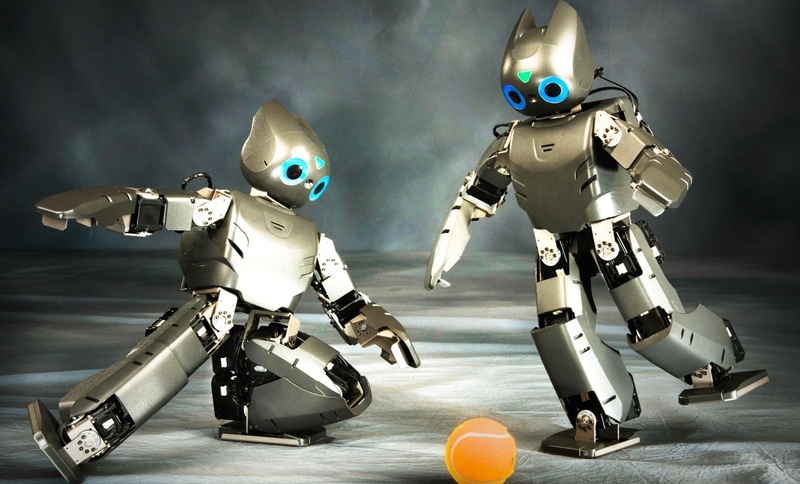 In June 2012, Team Darwin conquered 24 international teams and won the RoboCup in Mexico City. The company manufacturers the so-called Dynamixel actuators, which are used by numerous universities and research centers all around the world in the development of their own robots. Dynamixel actuators are smart actuators with fully integrated DC motors and are produced exclusively for robots. They are characterised by high precision, top quality and a wide functionality range. These all-in-one drive modules with built-in controllers are equipped with numerous feedback functions (position detection, velocity, input voltage, internal temperature) that are controlled via a network. The Dynamixel actuators are programmed by means of RoboPlus, the free graphic programming software of ROBOTIS. DARwIn-OP is a very good example of how intelligent a robot can act with the aid of the actuators. 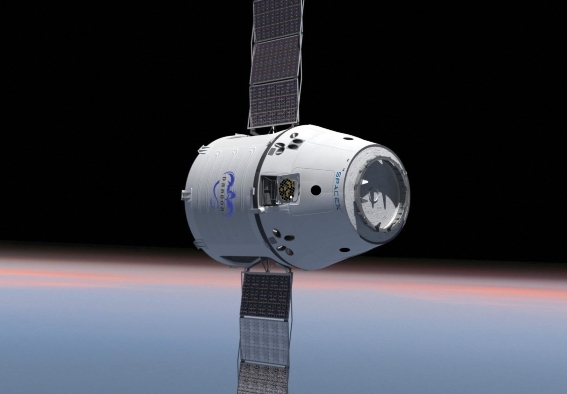 The first private cargo capsule in the history of space travel was launched into space on May 22, 2012 from the Cape Canaveral Air Force Station in Florida.The voyage of the unmanned “Dragon“ spacecraft, developed by the Californian company SpaceX, was a historical event for all involved. Never before has a private company developed a combined spacecraft and launch system that is capable of undertaking an orbital rendezvous and then returning to earth. Brushless maxon motors for mission-critical tasks EC maxon motors were used on the voyage to the ISS to rotate the solar arrays to keep them aligned with the sun as Dragon orbited the earth, open the instrument bay door which contains navigation equipment, and lock in place the fixture that allows Dragon to be grappled by the space station’s robotic arm. shuttle program, the Dragon is the only means of transporting such large quantities of material back to earth. The maxon team has been working on the SpaceX motor project for the last year. This is a milestone in the history of maxon, and the story isn’t over yet, as NASA has contracted with SpaceX for another twelve flights to the ISS. In a few years, the spacecraft will carry seven astronauts to the international space station. 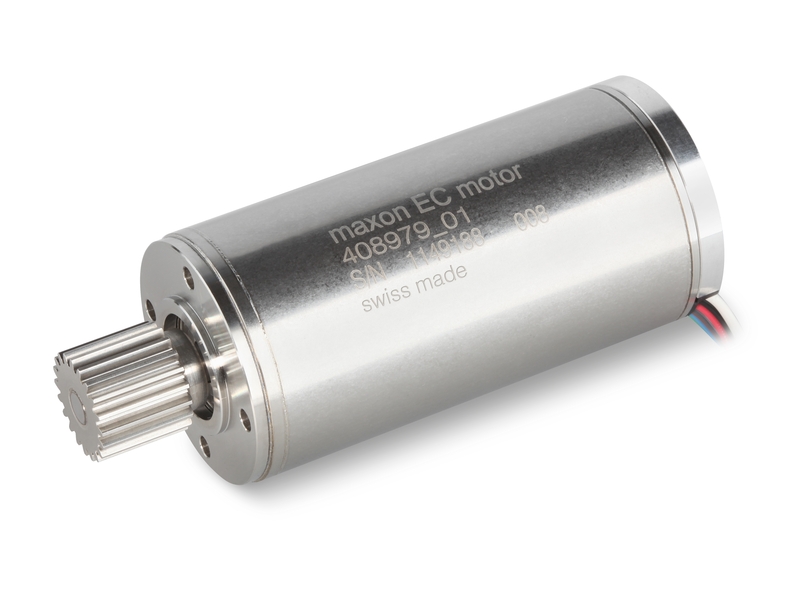 For maxon motor, this latest flight is a major step forwards in the future of commercial aerospace applications. With the Mars rovers Opportunity and Spirit, maxon motor has previously demonstrated that maxon motors function flawlessly, even in outer space and on other planets. “We recognised the significance of what SpaceX were trying to achieve when they first approached us for motors several years ago. Our participation demonstrates that our standard industrial motors now have the technological sophistication that enables them to function in the critical roles needed for the success of this ground breaking mission,” explained Robin Phillips and Kornelia Stubicar, the two managers of the SpaceX motor project at maxon who, together with their team, implemented the development of the Dragon motors. Would you like your position controller with 1, 5 or 11 axis? Now available from maxon motor ag is the completely innovative modular system position controller that is available globally in any number of axis up to 11. The unique system allows either the user or supplier to simply snap off an axis. The 11 axis motherboard features a unique perforated or breakout design that is both robust enough for OEM integration but also features a cut point for separation down to smaller drive number configuration. So if maxon have a request for a 4 axis control unit they simply take the 11 axis controller and divide it into a 7 axis and 4 axis. The 4 axis unit is sent to a customer and the leftover 7 are put on the shelf for the next application for 7 or less axis. To drastically reduce cabling requirements for power and communications the controller system features and internal CAN bus system that simply jumps the segments of the motherboard allowing a single connection at the start of the motherboard that can be easily separated at any point. Every segment features a BUS termination resistor that can be selected if it is the last node on the CAN line. Power is also carried down the motherboard system and across the breakout points by jumpers. Each unit is supplied with a powerful software configuration suite that features a user friendly graphical interface for drive configuration and auto tuning of the motion control card with your selected motor. With this interface you can see all axis in your machine and freely adjust the parameters of each. The motherboard features a USB and RS232 gateway for easy connection and setup and is supplied with leads and optional longer pre-configured cables. The new maxon motor Australia website is coming next week!!!!!!!!! Asyril, a company from western Switzerland, specialises in the development and integration of mechatronic systems for fast and flexible automatic handling of small components, for example microscale components for micro, nano and bio technology. The company was founded by microrobotics specialist Dr. Alain Codourey in 2007 and builds on the technological know-how of CSEM and the CPA group. The founding of the company was preceded by the core question of whether it is possible to build a microrobot with a size of 100 x 100 x 100 mm3 and what the ideal kinematics would be for such a robot. As early as 10 years ago, researchers at CSEM (Swiss Centre for Electronics and Microtechnology) noticed the increasing discrepancy between microcomponents getting ever smaller yet the size of the production systems staying constant. Whereas the mechanical structures of a robot is relatively easy to miniaturise, the same only holds true for drives to a limited degree: “In conventional systems, the motors remain very large in comparison to the mechanical components. As a result, the conventional kinematics of — for example — articulated arm robots are also unsuitable, because large motors are still required in the joints,” explains Dr. Alain Codourey. The Pocket Delta Robots are used in various industries. However, its main talent is sorting, selecting and machining microcomponents in the watch industry. This solution is suitable for assembling nearly all components in mechanical clockwork, for example screws, rivets, pins or gears. But the Pocket Delta is also used in the field of medical technology and in the electronics and semiconductor industries. The components to be moved are typically between 0.5 and 15 millimetres in size.